The Best Cookies are Just Baked! Just Baked, LLC is just over a year old but has been a dream of owner Justine Crandell's for as long as she can remember. Selling a variety of baked goods including, Cookies, Pies, Brownies, Dessert Bars, Muffins & Breads, everything is made from scratch and Justine's love for baking gets put into every single order. While Just Baked, LLC tries to bring a variety of baked goods to the market each week but you can always count on an assortment of cookies and dessert bars. Additionally, during the spring and summer months you can find items like lemon crumb muffins and cherry pie. When Autumn arrives the menu changes with the season to include flavors like Maple Bourbon Pecan Pie, Cranberry Pear Crumble, and Pumpkin Streusel Muffins. 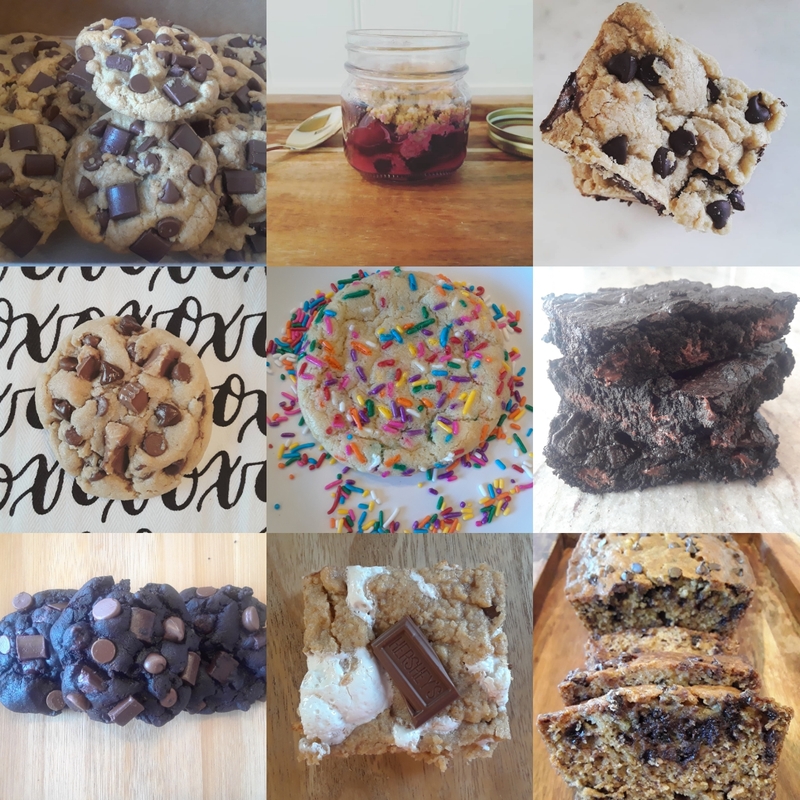 Cookies are definitely the most popular item from Just Baked, LLC. Two customer favorites are the chocolate chunk and triple chocolate cookies. The chocolate chunk is a step up from you typical chocolate chip cookie. It is soft, chewy, and loaded with chocolate chunks. The triple chocolate is a chocolate lovers dream--a dark chocolate cookie with a combination of milk, dark, and semi sweet chocolate chips. It brings Justine so much joy to share her passion with others and to be able to put a smile on someones face because of it, and she is very exited to return to the Middletown Farmers Market for her second season.